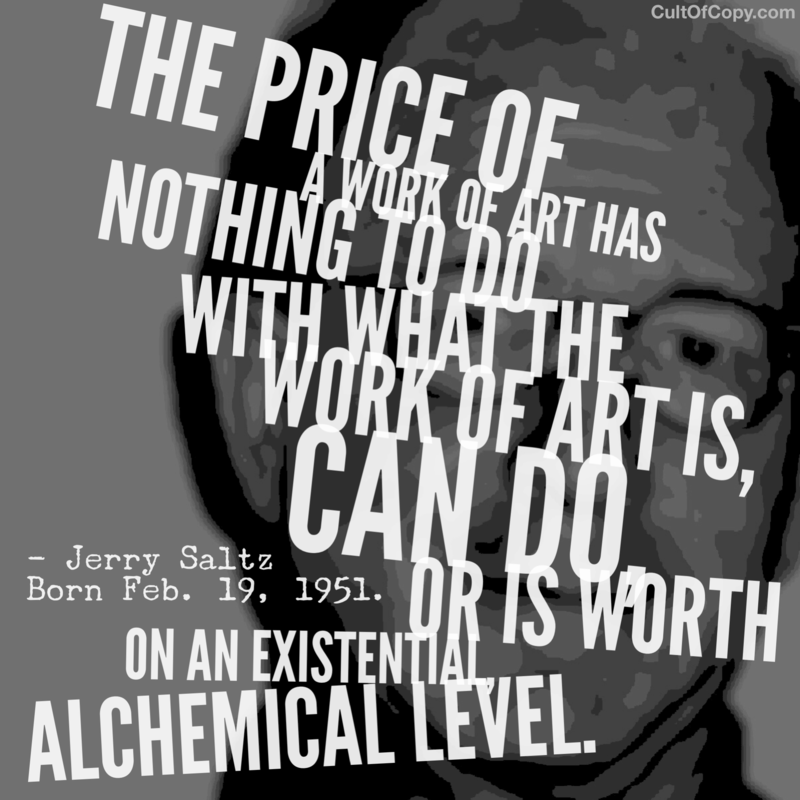 “The price of a work of art has nothing to do with what the work of art is, can do, or is worth on an existential, alchemical level.” – Jerry Saltz, Born Feb. 19, 1951. Information is like art in this way, at least when it's for sale. Context will change the perception of value in a piece of information. This estimation of value – even if it's only POTENTIAL value – will have a huge impact on how much a person would pay for that information. For the right person, in the right context, at the right time, the right piece of information can be the most valuable thing in the world. 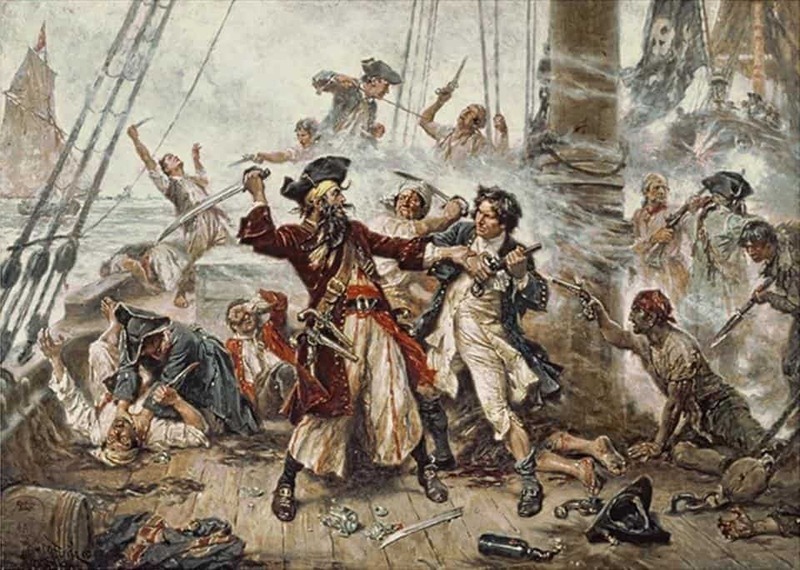 Moving a painting from the artist's tarp on the city sidewalk sale into a luxuriously appointed auction house where it is fiercely bid upon by wealthy elites – that can take it from $100 to $10 million. What can you and I do to magnify the price of a piece of information? 3. Who has known and benefitted from this before? 4. What size and scope of results has it generated? 5. What do other competing solutions cost? 6. What does it cost to apply oneself? 7. What does it cost to hire paid pros to implement? 8. How few people can possess and benefit from it? 9. How versatile is it? 10. What does knowing/applying it do for my status? 11. What are the consequences for not knowing? 12. What was the cost to acquire/create it? That's a good stopping point. If you feel yourself struggling, just think of who your buyer is. Again, go back to the art world. People who like art are not their highest paying customer – the investor/collector is the highest paying customer. 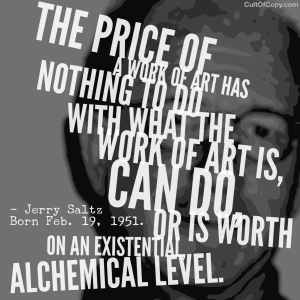 And that is why the BUSINESS of art is focused on those buyers. Are you building your business around YOUR best buyer?